A weary handyman does his best to maintain order and care for his cybernetic 'pet project,' a strange mix of machine and flesh. But when a pair of thuggish residents threaten a young girl, the line between human and machine becomes blurred. 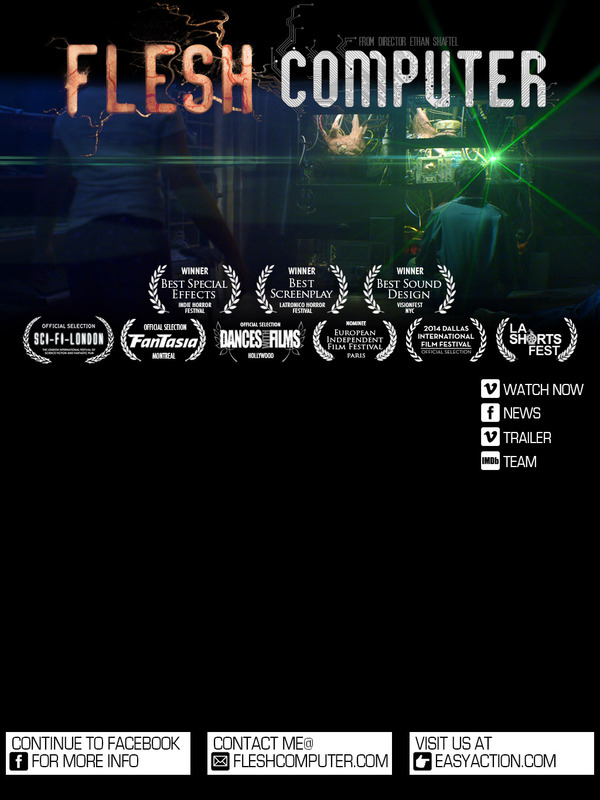 FLESH COMPUTER, a short film from writer/director Ethan Shaftel, explores the nature of consciousness by jumping between the perspectives of an eclectic group of characters including a young girl, a vicious bully, and a tiny housefly. Noted philosopher David Chalmers appears in the film and raises some fundamental questions on consciousness in counterpoint to the action. Also starring Rob Kerkovich (NCIS: New Orleans), Anthony Guerino, and introducing Elle Gabriel.